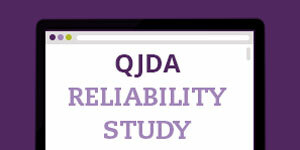 Read our QJDA reliability study, performed in cooperation with the US Department of Labor. Download our Flatbed Trucking case study for more information. Looking to up your marketing game? 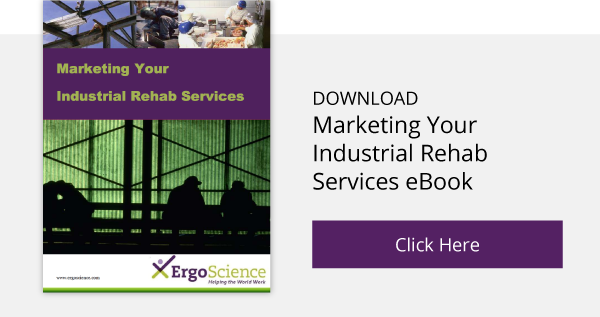 The Marketing Your Industrial Rehab Services eBook provides a great starting place. Loaded with tips and tricks to spark interest among local employers and referral sources, you'll be on your way to a successful industrial rehab practice in no time. Download our Industrial Services Case Study for more information. Sign up for our blog to stay up to date with the latest clinic news. ErgoScience offers customer support to clinics concerned with helping the world work better. Call Erin Norton at 205-879-6447, ext 218.